Music from the Berlin Court. 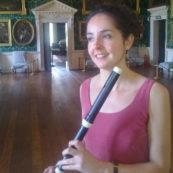 Sarah McNulty, baroque flute and Miriam Nohl, cello. Lotherton Hall, Sunday 9th October, 2pm.